The paddle cable is probably already attached to your iambic paddle. 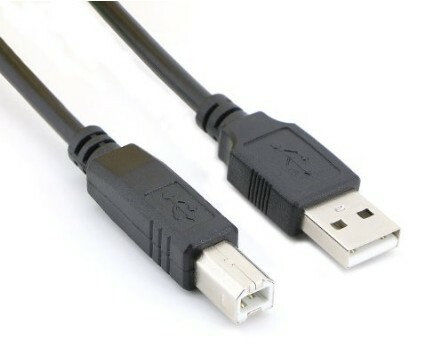 If it is a 1/4" style you will need a 1/4" to 1/8" adapter in order to plug it into WKUSB. Any off the shelf A to B USB cable will work or you can buy one from us, reference the picture shown on the bottom right. The keying jack on most transceivers is a 1/4" stereo phone type which accepts an iambic paddle input. Newer radios are now using an 1/8 inch key jack. WKUSB's output jack is an RCA receptacle. Even though you disable the radio's internal keyer and only drive connector tip and ring, it's recommended to still use a stereo connector at the radio. 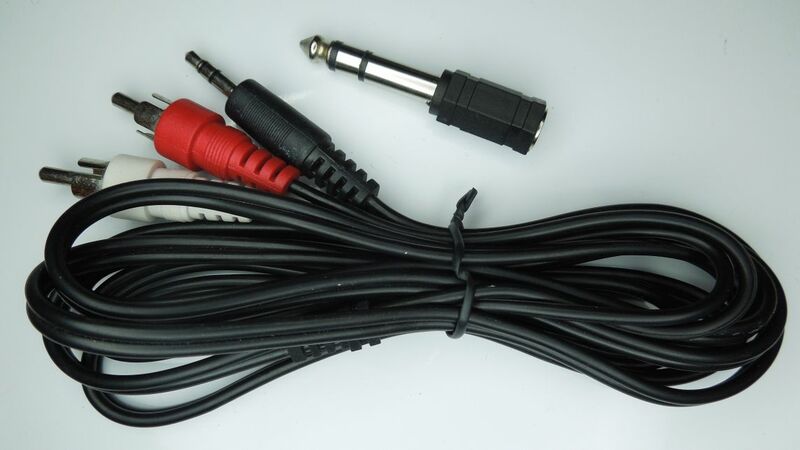 Stereo 1/8" plug to dual RCA plug cables are very common and can be puchased for a low cost. If your radio has an 1/8" key jack, that's all you need. You can plug both RCA plugs into WKUSB, just disable the PRR output. If your radio has a 1/4" jack, you will need an 1/8" to 1/4 inch adapter. We offer a universal WKUSB keying cable kit that covers just about any situation you would run into. The kit has one cable with an 1/8" stereo plug on one end and dual RCA plugs on the other. You would plug the RCA jacks into WKUSB (Red plug to Key Out and White plug to PTT) and the other end can go directly into your transceiver if it has an 1/8" key jack. If it has a 1/4" jack use the 1/8" to 1/4" plug adapter included in the kit. If you want to drive two radios, buy two cable kits.